Classic Yo-Yo brings together favorite tracks from all of Yo-Yo's best-selling albums, including music from Crouching Tiger, Hidden Dragon (SK 89347), Simply Baroque (SK 60680), Hush (SK 48177), Appalachian Journey (SK 66782), and more. The album also features 3 new tracks -- a beautiful duet with bluegrass singer Alison Krauss called "Simple Gifts", a previously unreleased track from Yo-Yo's best-selling tango album Soul of the Tango (SK 63122), and a recording of the PBS Masterpiece Theater "American Collection" theme composed for Yo-Yo by the legendary John Williams. 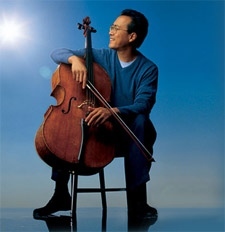 Classic Yo-Yo is perfect way to discover the world of Yo-Yo Ma-- and some of today's most exciting classical music.